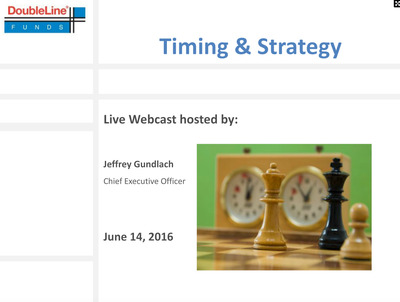 DoubleLine CEO Jeff Gundlach delivered his latest presentation on markets and the economy on Wednesday. A summer sell-off is coming, and will be triggered in part by rhetoric around Donald Trump’s possible election win. It will be a buying opportunity. 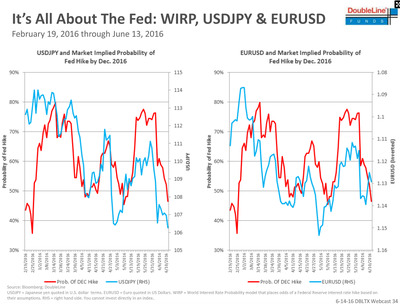 Negative interest rates are not working and are having the opposite effect on currencies, stocks and the economies using them. 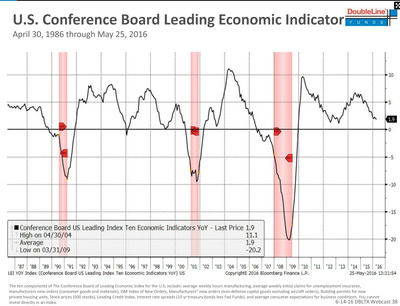 Gundlach’s favourite recession indicator, and a few others, say there’s no cause for alarm right now. A “Leave” vote in the British referendum would have a ripple effect on the eurozone and mark the beginning of its end. 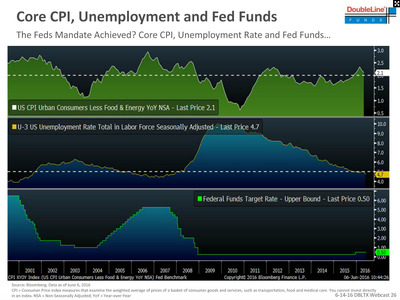 He reiterated his call against higher rates, and again noted the disconnect between Federal Reserve expectations and where the bond market is. The German 10-year yield has been in the news recently for falling to record lows. 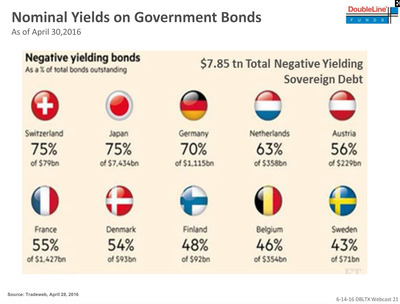 Gundlach does not like negative rates. At all. 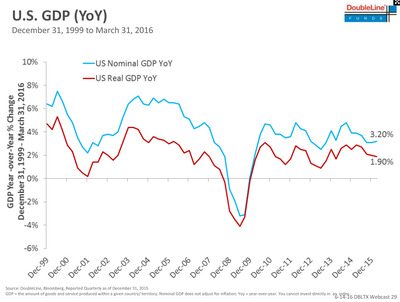 'Hope springs eternal among economists, but you would think at some point they would capitulate' and not expect global growth to continue trending higher when it's in fact been falling, Gundlach said. The dollar rallied against the euro leading into the European Central Bank's stimulus announcement. 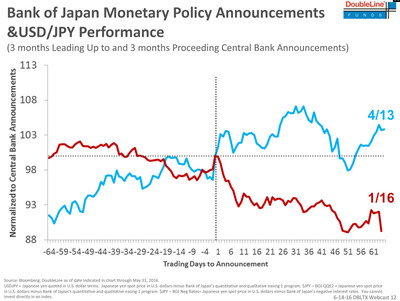 But news of further stimulus in March was not followed by a dollar rally. 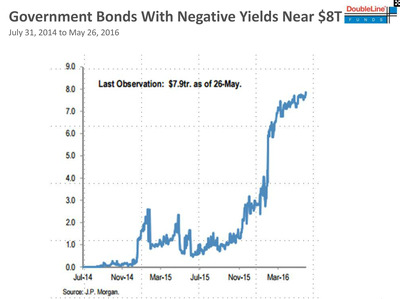 Rather, the greenback weakened because of negative interest rates. 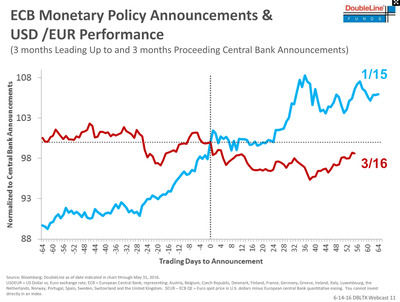 The policy has not weakened the euro, which is ironic because one of the reasons central banks use negative rates is to weaken their currency. 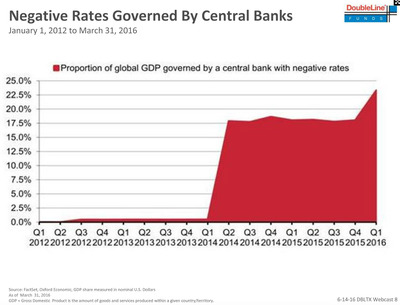 One of these days, central banks will accept that negative rates don't do what the textbooks say they do, Gundlach said. 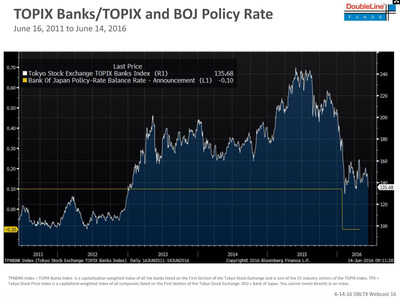 Take the Japanese banking sector, for example. 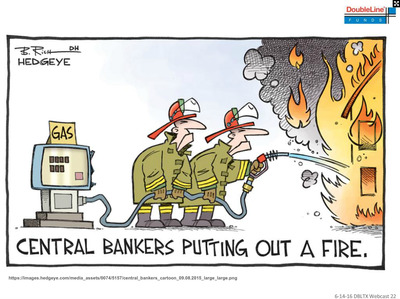 When rates went negative, banks absolutely cratered because the policy is 'fatal to the banking system,' Gundlach said. 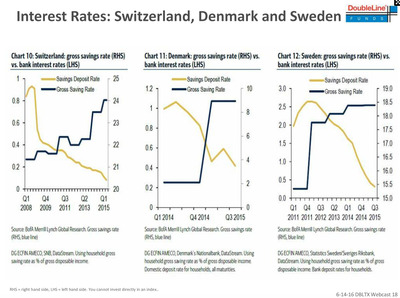 The gross saving rate has been rising in these countries. 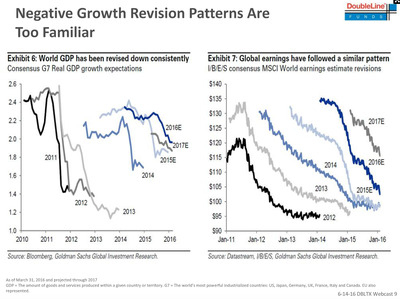 Deutsche Bank's Torsten Sløk recently shared this chart. 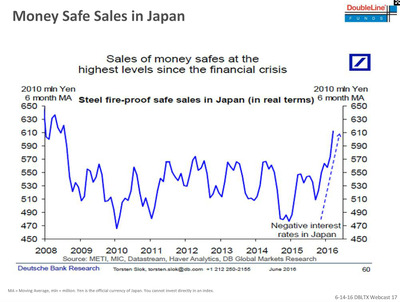 Because negative rates hurt savers who are keeping money in a savings account, they believe it's cheaper to keep the cash in a safe. However, because they 'oversimplified the world,' they have cornered themselves. 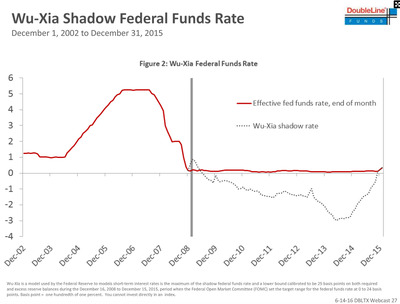 The Wu-Xia shadow rate asks, what would the Fed funds rate have gone to if instead of quantitative easing, the Fed cut rates? 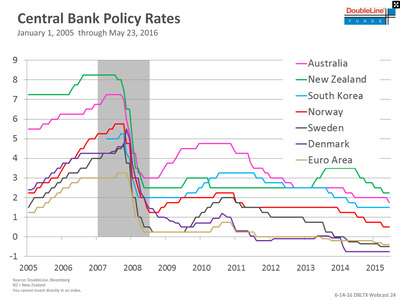 By raising rates once and removing QE, the Fed has tightened comparative to other cycles, Gundlach said. GDP has been incredibly stable, though. 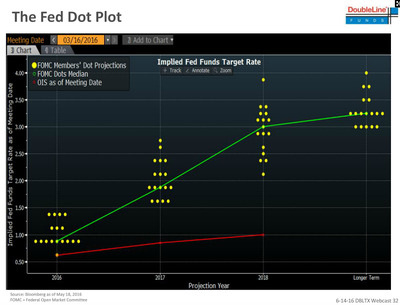 Gundlach thinks the dots for 2017 will be lowered in the Fed's June statement. 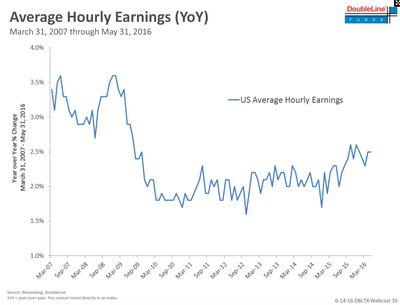 Gundlach said wage growth has been engineered higher by 'artificial raises' in average hourly earnings via minimum-wage hikes. This puts pressure on margins, especially for businesses that employ low-wage workers, he said. That's one reason why markets have been declining -- the squeeze on corporate profits and revenues. This is an indication that profitability is declining for the companies creating GDP, because the growth of their output is being outstripped by rent. If rent is rising and wages are stagnant, then discretionary cash is likely to decrease because housing is essential. 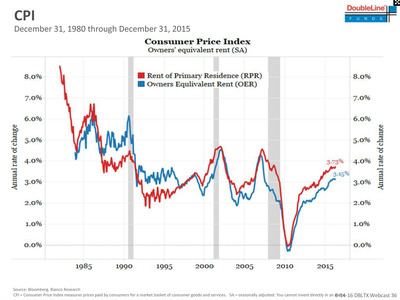 This is deflationary, Gundlach said. You can't get a recession without a spike in the unemployment rate. 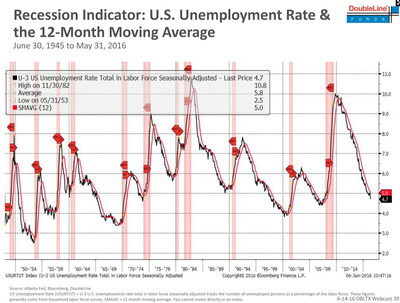 And although the rate is being pushed down by a drop in the labour force participation rate, this indicator is not flashing red. 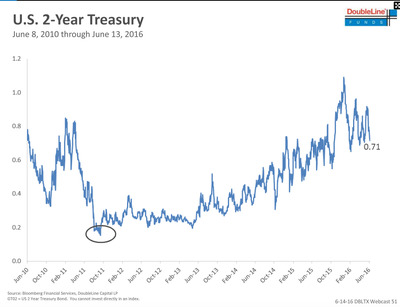 Even the recent rebound in prices doesn't count as a bull market, Gundlach said. It also suggests that China, the world's largest buyer of commodities, is not growing as fast as it discloses. Earnings estimates keep getting downgraded every year. 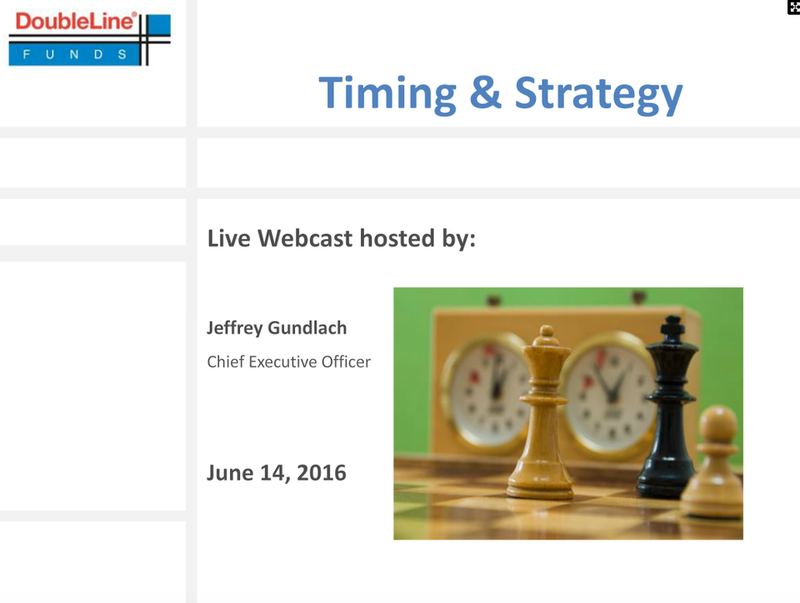 'You think they'd learn,' Gundlach said about analysts. 'Instead, they reach for the stars' every time. 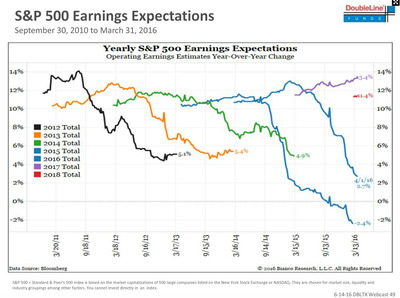 And with earnings weak and wages rising, it's no wonder that the S&P 500 has been going nowhere. 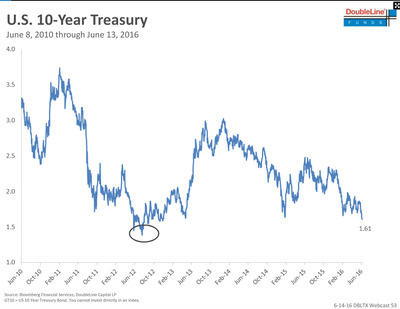 Gundlach doesn't think the yield will go lower. One thing that's causing angst and pushing yields lower is the upcoming British referendum on EU membership. 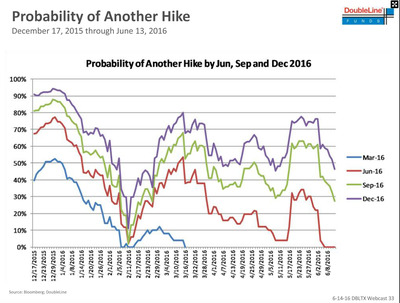 Gundlach thinks 'Leave' is over-polling and will eventually fail. 'But if 'Leave' prevails, I really think it's the beginning of the end for the eurozone,' he said. 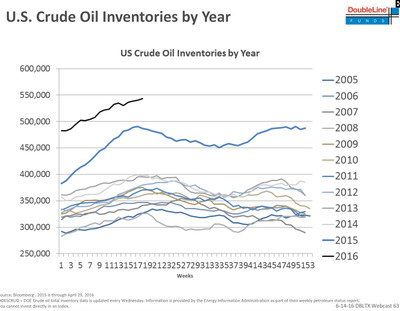 Inventories are way up there. 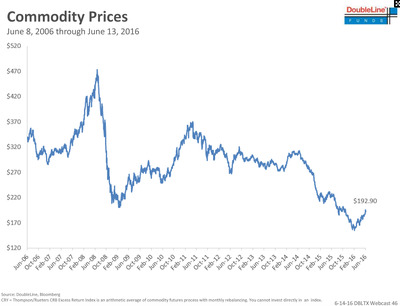 And it seems hard to understand how their levels will not slow down the gains in oil, Gundlach said.